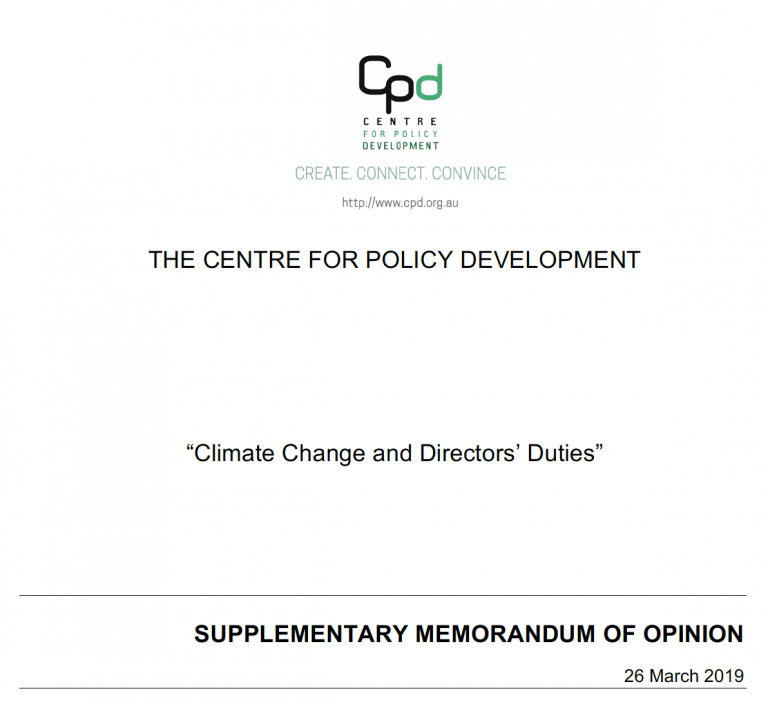 In April 2018, CPD made a submission to the Senate Foreign Affairs, Defence and Trade References Committee Inquiry into the United Nations’ Sustainable Development Goals. (1) Financial regulators should raise awareness about the relevance of the SDGs to good governance, risk management and disclosure, building on recent public leadership on the relevance and materiality of climate-related risks and opportunities. (2) The ASX Corporate Governance Council should update its Corporate Governance Principles and Recommendations to reflect (a) the increased regulatory and market focus on material impacts of sustainability-related risks and (b) the importance of the Taskforce on Climate-related Financial Disclosures’ recommendations and of other frameworks like the SDGs as a tool for guiding entities’ disclosures and responses. (3) The Australian Securities and Investments Commission should provide updated guidance to company directors outlining an enhanced focus on climate risks and other sustainability-related risk management and disclosure, in line with recent statements from the Australian Prudential Regulation Authority. 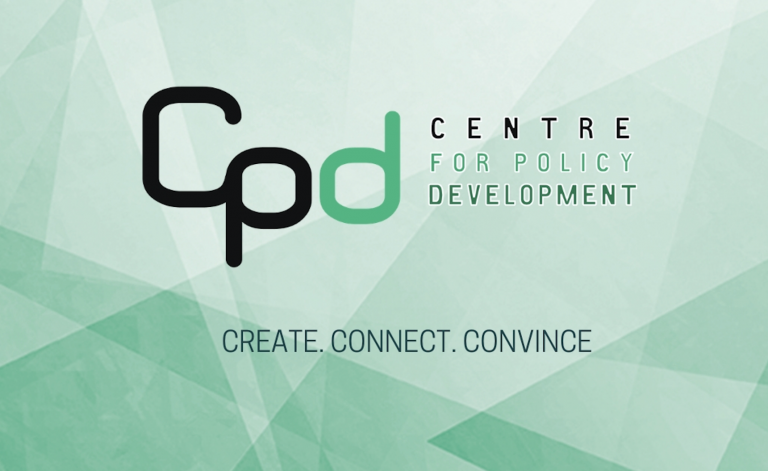 [Update: see ASIC Commissioner John Price’s statement at June 2018 CPD Public Forum on Financing a Sustainable Economy]. (4) The Australian Government should identify development of an SDG-aligned sustainable finance agenda as a key priority in a revamped SDG strategy, and appoint a taskforce to recommend policy and regulatory reforms to boost sustainable finance and investment in Australia. (5) The Australian Government should establish a dedicated centre-of-gravity in a central agency like the Department of Prime Minister and Cabinet to drive SDG-related reporting, leadership and policy development. The submission is available in full here. 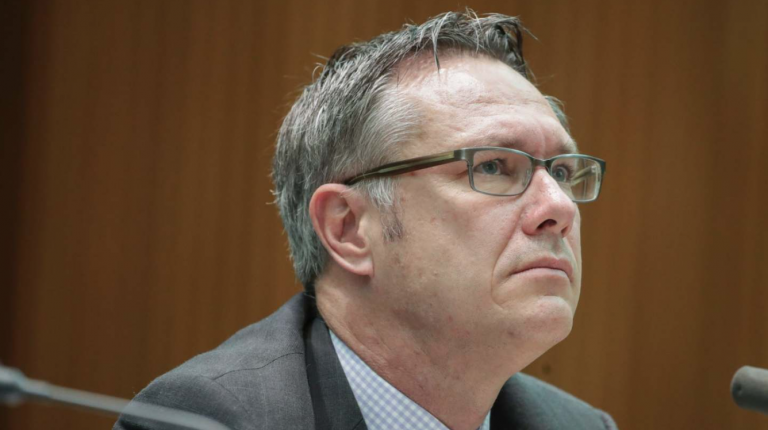 Update: In October 2018, CPD Policy Director Sam Hurley was invited to give evidence to the Senate inquiry, building on the themes in CPD’s submission. A transcript of his evidence is available here.